CD review of Charger! – GumboGumbo! 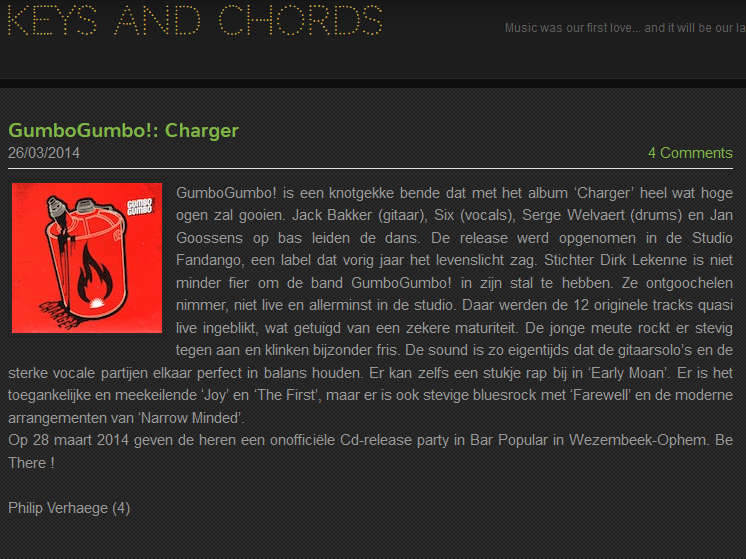 Keys and chords wrote a nice review of our debut album Charger!